3. URL of spoof website disguised as " Log In to Online Banking "
4. Real URL looks quite like Lloyds TSB, but is NOT! Don't be fooled by the similarity!
" 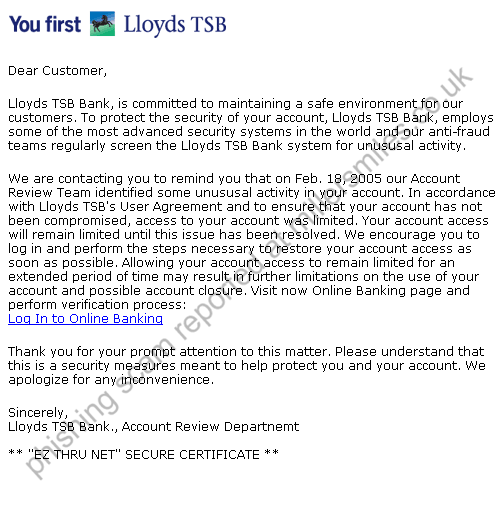 Dear Customer, Lloyds TSB Bank, is committed to maintaining a safe environment for our customers."